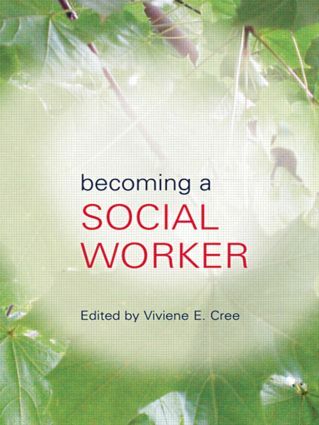 This is a book about social workers and social work. It tells the story of the journey into and through social work of thirteen social workers living and working in the UK today. We hear what has brought them into social work and what has kept them in it since. Their lively accounts demonstrate that commitment and passion remain at the heart of social work today. Becoming a Social Worker describes what it is like to be a social worker in different practice settings, what it is like to be a social work manager and what is happening in social work education. Some of the contributors will be recognised as those who have played a key part in shaping social work over the years and they provide valuable insights into how the profession of social work has developed in that time. Other contributors, less well known but no less interesting, give us a vivid idea of what social work practice and social work education is like 'on the ground'. Social work is a demanding and difficult job which goes largely unseen within society. We only ever hear about social work and social workers when something goes wrong and a vulnerable adult or child is hurt. Becoming a Social Worker sets out to change that - to make social work visible, so that those considering a career in the caring professions can make an informed choice about whether social work is the career for them.